Love can be an exuberant, fulfilling, and positively intense experience. Many people might associate this feeling with how they see themselves or how others treat them, but what if love becomes toxic? What if it becomes dangerous enough that it affects your mental, emotional, and physical health? These were questions Monique John pondered during one of the most distressing times in her life. In 2018, John, a journalist originally from New York, launched a blog site and podcast addressing some of the most intimate and painful details of her abusive relationship while chasing her dream as a foreign correspondent in Monrovia, Liberia. 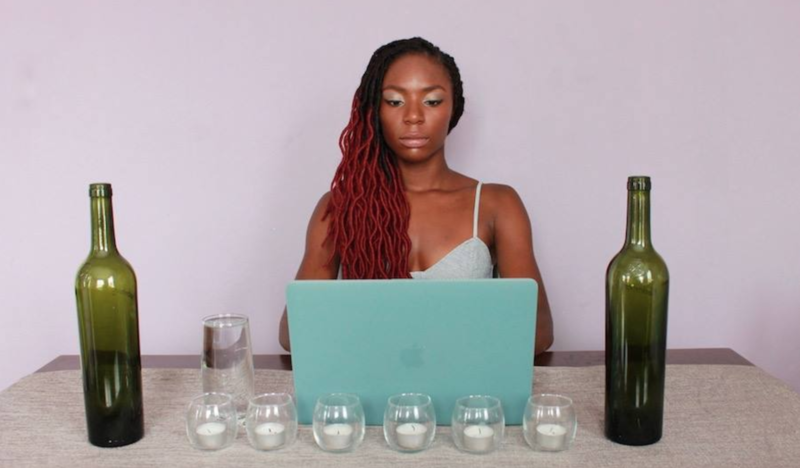 Her culture and lifestyle platform, The Correspondante, is home to the podcast entitled, Cuckquean, a 10-part drama series detailing her daily experiences as a Black-American woman navigating her “disastrous” relationships and professional life as a reporter during Liberia’s presidential elections. Her story has emboldened readers to chase after their dreams, “regardless of how lofty and intimidating” the challenges may be. It was a formative time for John. Her former classmates and colleagues knew her for her strong leadership skills and self-confidence, but John battled with a set of life-altering events that further reinforced the idea to uproot her life and leave the country. “I was diagnosed with a lifelong illness all while dealing with the trauma of being date raped at my home in Brooklyn,” she said. 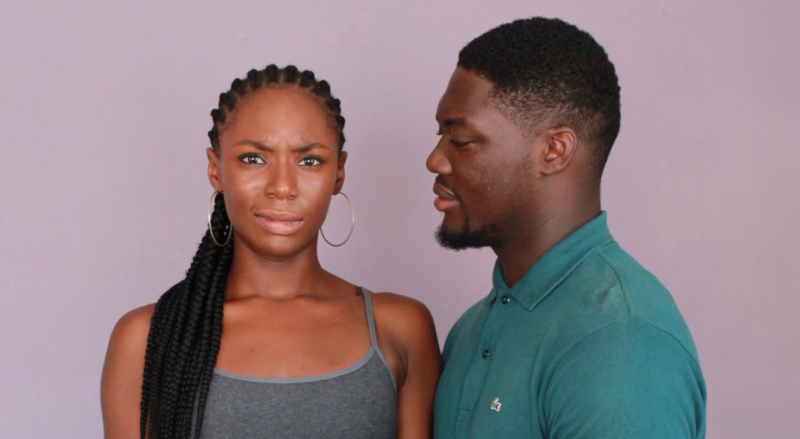 “I was embarrassed for investing in men who didn’t value me and violated me. It was the perfect storm to take reigns of my life. I was ashamed to talk about it. I was depressed. It was my breaking point.” Eventually, she left her job at an online women’s magazine, stopped writing, shut down her social media pages, and fell out of contact with many friends and colleagues. During that period, she found it difficult to find employment. She knew it was time to make a drastic change. In August 2017, she finally moved to Monrovia with few connections as part of her goal to grow professionally and heal mentally and emotionally. John worked as a freelance reporter for Voice of America and a consultant for development firms and aid organizations in the region. Working for herself gave her a sense of independence, strength, and hustle a businesswoman needed while establishing a brand in a foreign country. Being able to finally set out doing what she wanted to do was a great accomplishment for John, but the first year was a tough pill to swallow. It was difficult protecting herself as a freelancer. In Cuckquean, she expressed the cons of her clients not paying her on time for completed assignments, which put her finances in jeopardy. John wasn’t sure she was going to make it until she connected with her then ex-boyfriend, Boris, who sent her life into a complete whirlwind. Each occurrence hindered her comfort in pursuing the story. When John had plans of airing Cuckquean at a radio station, her personal boundaries were crossed yet again by the radio station’s prominent show host. “He was interested in my podcast, but the conversation ended with him expressing romantic interest,” John said. “He told me he was in the process of divorcing his wife who was based in the U.S."
Fed up with the situation, John decided to stand up for herself. She no longer wanted to continue down the same cycle. She worked on developing a healthier lifestyle by doing morning meditations, attending church, writing, exercising, and being intentional with what she wore that brought out her confidence. Finally, she ended all communication with those who came in the way of her career ambitions. John said she learned about Monrovia the hard way. Feminist writers were “subjected to negativity and the struggle of tackling sexual coercion.” Cuckquean opened doors for criticism and support in the community. “A local Liberian activist said it helped her with domestic violence in her marriage,” said John. “She felt that she couldn’t speak publically for fear of being alienated and ostracized. My vulnerability was fortifying for many women who saw me holding Liberian men accountable for their actions that they are granted impunity for. It was a great source of amusement and encouragement through their most difficult times." Many didn’t approve of her depiction of her experience in Monrovia. John saw even greater criticism by men who felt implicated by her story. “I ruffled some feathers with my podcast,” John said. “Some men felt that I was too critical. They thought Cuckquean didn’t paint the society in a good light. It became a real source of embarrassment for them." Ready. Set. Boss. Our daily email is pouring out inspiration with the latest #BlackGirlBossUp moments, tips on hair, beauty and lifestyle to get you on track to a better you! Sign up today.